2. Security. We realize the significance of data security and the methods required to safe guard information. We store all of the Personal data we directly from users in a database which is secured by a password and reside within our protected network behind dynamic cutting-edge firewall security software. The Service and pokerbonusgiant.com website make use of SSL Version 3 with 128 bit encoding to encrypt users data securely. 3. Protection of Children. The Service & Website is not meant for or for minors who are under 18 years of age. Any individual who offers the information of such minor through any portion of the service indicates to us that they are above 18 years of age. 4. International Transfers. Personal data gathered by online services might be stored in our servers and processed in any of the countries that are maintained by either ourselves, our subsidiaries, affiliates or agents and people who use such services agree to transfer their information exterior to the country. 6. Legal Disclaimer. The Service functions "AS-IS" and "AS-AVAILABLE," devoid of any responsibility of any kind. We cannot take responsibility for any other events which take place out of our direct control. Due to complex and continuously modifying behavior of the business and technology, we can’t afford to guarantee or represent a bug-free performance regarding your personal data privacy and we shall not responsible for any incidental, indirect, eventful or exemplary damages which are related to the disclosure or usage of Personal data. 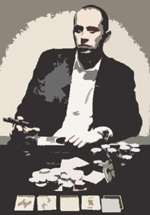 Copyright (c) 2001 pokerbonusgiant.com. All rights reserved.